Elegant and clean, this plate will give your setup a professional and customized look. 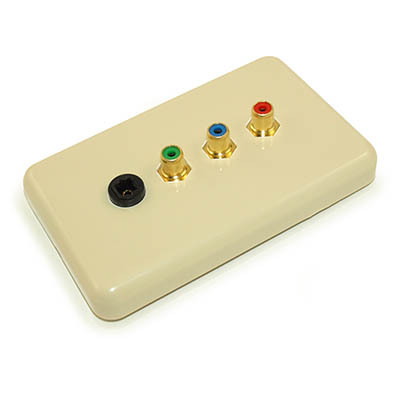 This plate features 3 color coded RCA jacks for Component video connections and Optical Toslink connection for audio. 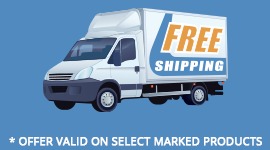 You can use it for other functions as well, just make sure to be mindful of not crossing connections. 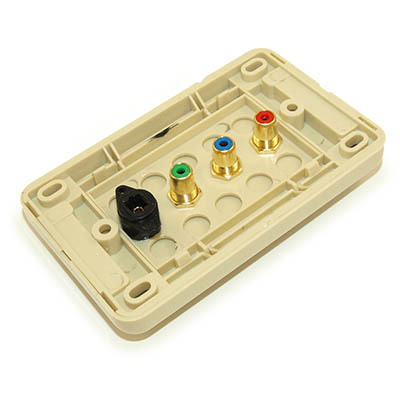 The jacks are in a coupler configuration so installation of the internal cables (inside the wall) are just as easy as connecting the external ones.